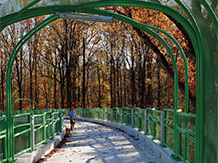 Rock Creek Trail Bridge provides opportunity for safe passage and for symbolic connection with Montgomery County's historic Victorian landscape during the era of water mills. 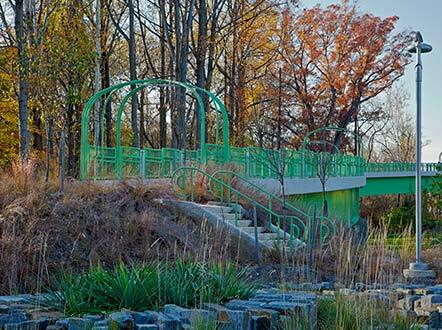 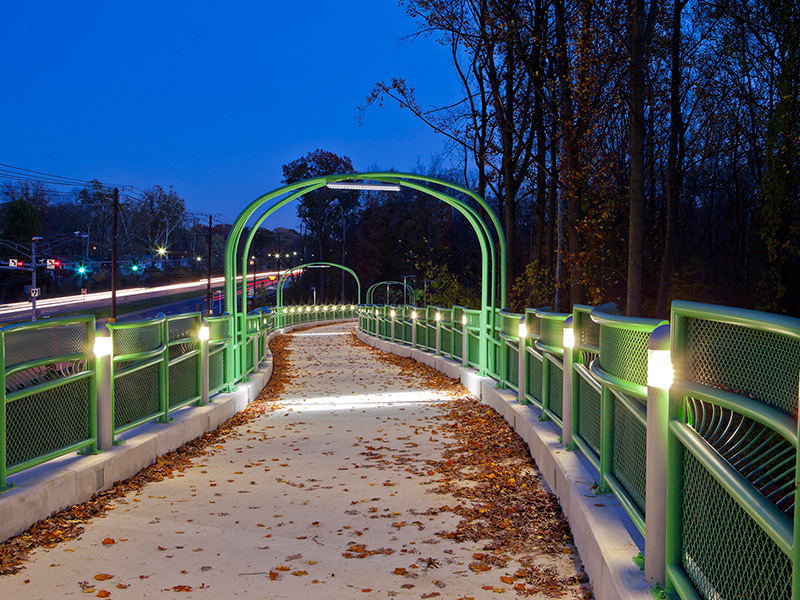 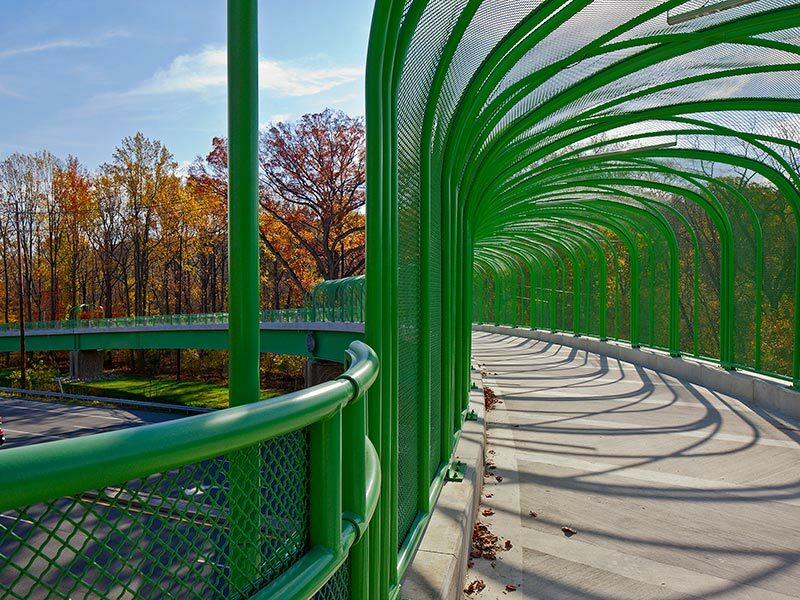 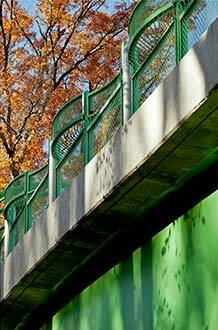 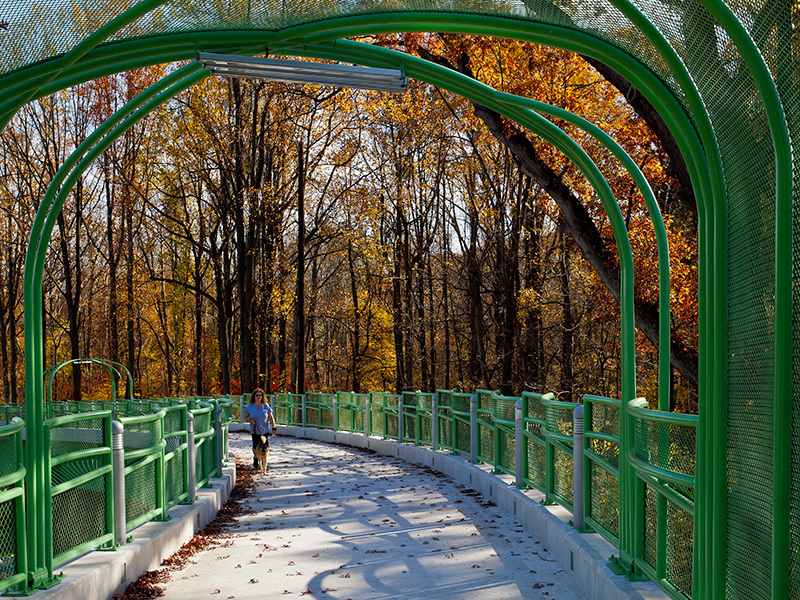 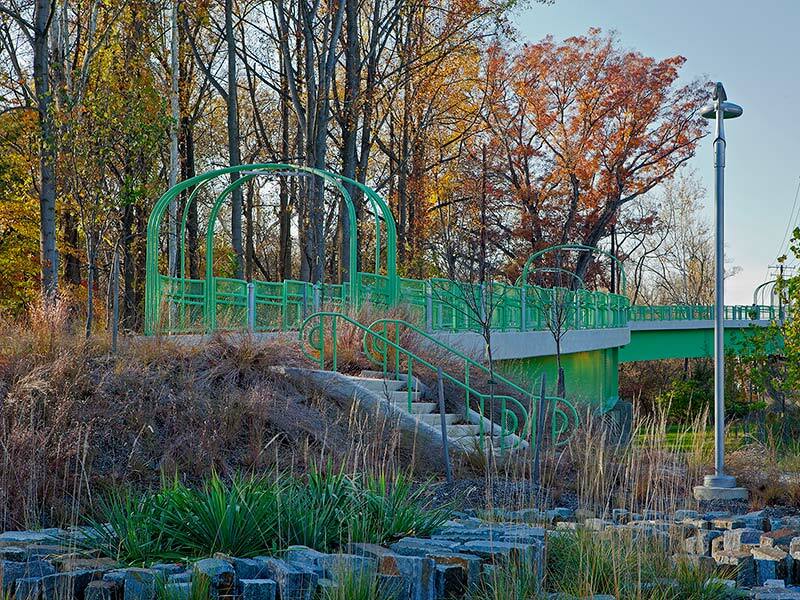 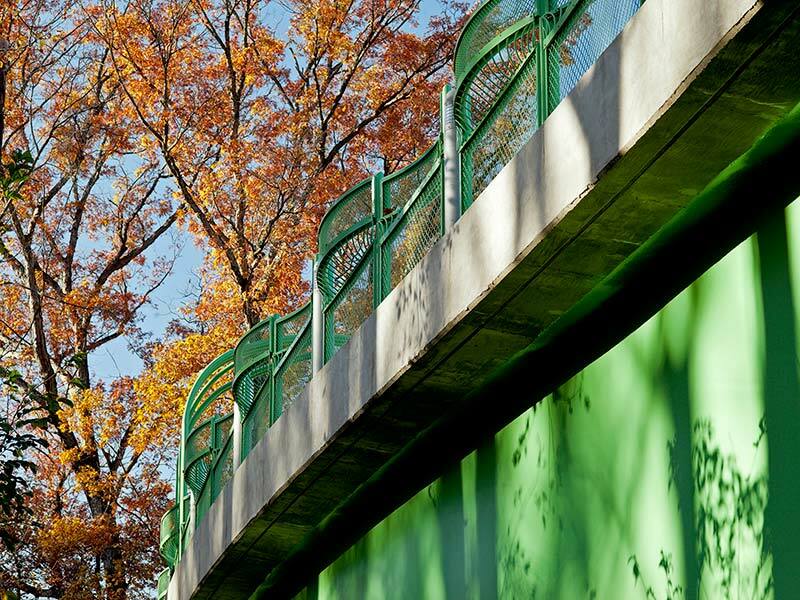 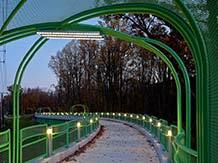 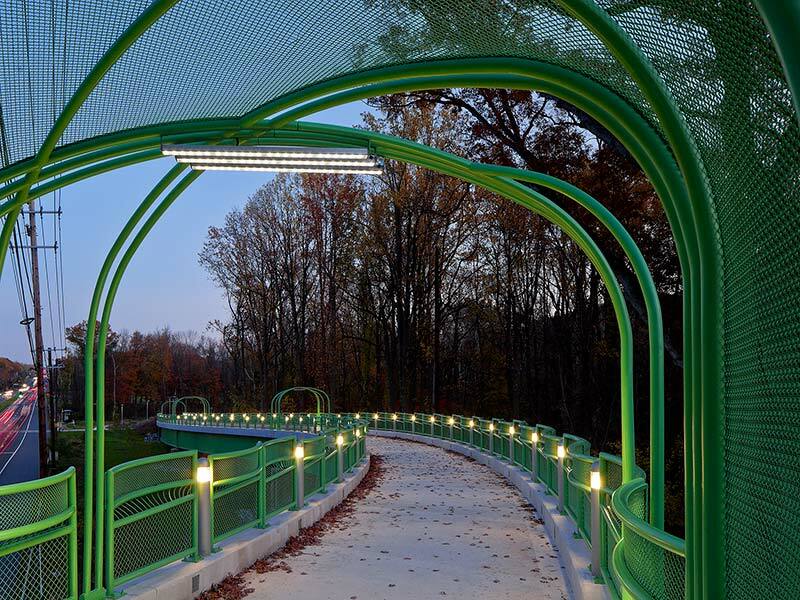 Rock Creek Trail Bridge connects trails and neighborhoods with county parks and open spaces crossing heavily traveled Veirs Mill Road. 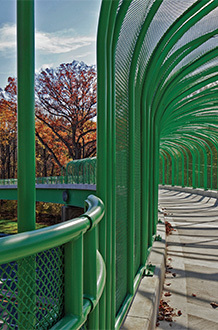 The design is inspired by the memory of the historic Cabin John footbridge once connecting to the nearby Victorian parklands. 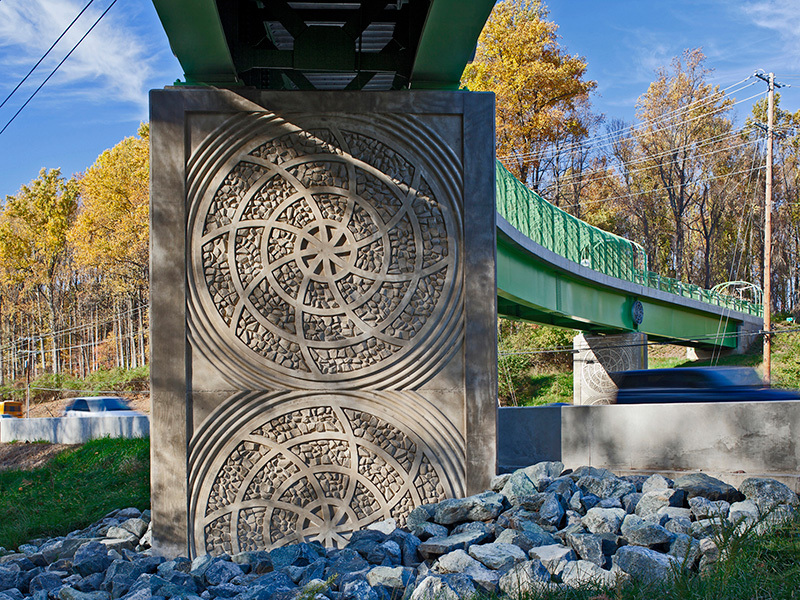 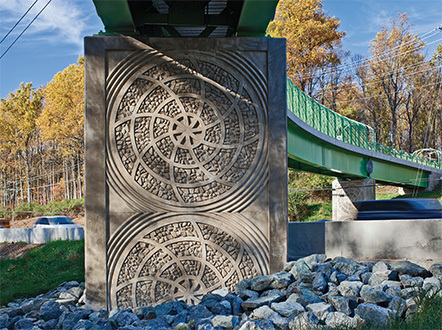 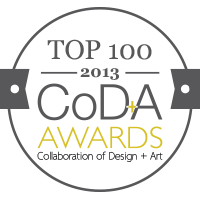 The artwork is integral to the design, carrying watermill imagery and iconography through a number of forms: planters, concrete piers and fencing designs that recall the whimsical trellis structures that windowed to idealized Victorian gardens. 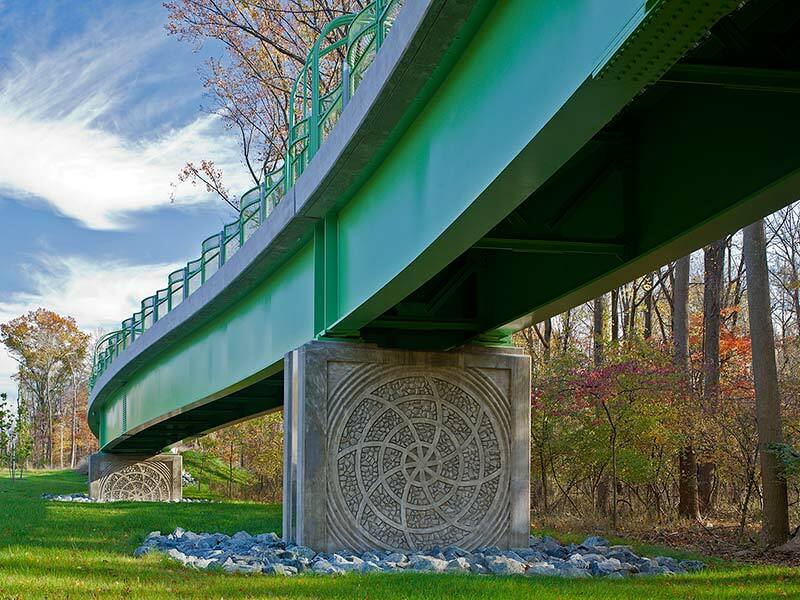 Our project updates this with modular geometry that enhances the experience of passage creating a celebratory landmark for the community in a pastoral setting.